Camino Island opens with a Princeton library heist of valuable manuscripts, a charismatic bookstore owner (no, this resembles no one we know) whose sideline of antiquarian books might have a shady side, and a young woman, a struggling writer, who is hired by an insurance firm to find facts and play dumb. The recipe of interesting characters and a rollicking plot, sprinkled with literary treats, makes for Grisham at his best. Order a signed first edition of Camino Island. 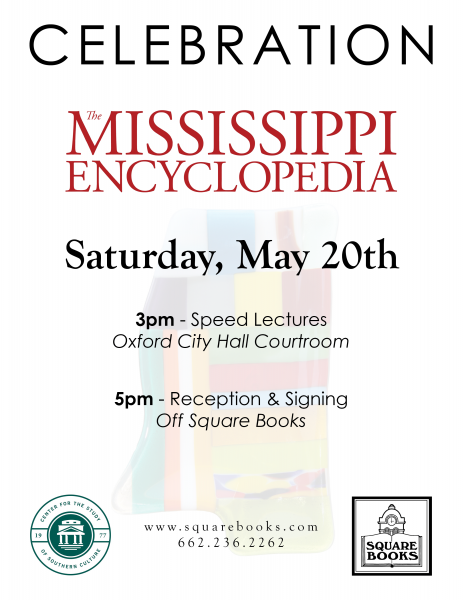 We hope you'll join us this Saturday, May 20th, to celebrate the publication of The Mississippi Encyclopedia, the extraordinary 1,600-page result of years of scholarship by over 700 contributors and the tireless efforts of its Center for the Study of Southern Culture editors -- Jimmy Thomas, Ted Ownby, Ann Abadie, Charles Wilson, and Odie Lindsey. Beginning at 3 pm at Oxford City Hall Courtroom, some of its contributors will present "lecturettes" on their respective topics and, at 5 pm at Off Square Books, there will be a party and book-signing with all editors and contributors present. Mark your calendars for our event-filled month of May. May 2 – Charles Eagles, author of the award-winning The Price of Defiance, talks about his new book, Civil Rights, Culture Wars (University of North Carolina Press, $34.95), in which the Mississippi school textbook banning of Mississippi: Conflict and Change and the subsequent federal lawsuit provide a landscape for this historian to delineate the fissures of Mississippi politics and culture. May 11 – Yvette Johnson, born and raised in California, is the granddaughter of Booker Wright, who once was a waiter at Lusco’s, the famous Greenwood, Mississippi restaurant. When an NBC documentary film crew came through town in 1966 and asked him what it was like to live in Mississippi, his life changed at the moment he told them the truth. This loving memoir, The Song and the Silence (Simon & Schuster, $26.00), is the result of Johnson’s determined search for who her grandfather was, what happened, and why. M ay 20 – Many here remember “The Encycloparty” of 1989, when we celebrated the publication of The Encyclopedia of Southern Culture. 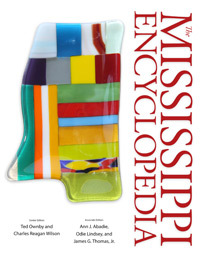 Now we will celebrate The Mississippi Encyclopedia (UP Mississippi, 1,481 pp., $70), with the Center for the Study of Southern Culture’s editors, James Thomas, Ann Abadie, Charles Wilson and Ted Ownby and as many of the over 700 contributors who are here. “Speed lectures” begin at 3 p.m. in the upstairs courtroom of City Hall; reception and Monster Book Signing begin at 5 p.m. at Off Square Books. May 8 – “To write a memoir, and to consider the importance of another human being is to try to credit what otherwise might go unremarked–partly by acknowledging that mysteries lie within us all, and by identifying within those mysteries, virtues.” So writes Richard Ford in his artful effort to bring to life his mother, father, and a young Richard, in Between Them: Remembering My Parents (Harper, $25.99). Generous in his appearances at Square Books over his career, Richard Ford has, every time, given a splendid, memorable reading. May 10 – Two days following Richard Ford’s visit, his old friend Curtis Wilkie will be here with his old friend and longtime partner in ink at the Boston Globe, Tom Oliphant. Together they have written a fascinating account of a five-year period in American history, from 1955 to 1960, showing exactly how a presidential campaign and its young candidate, John F. Kennedy, fashioned themselves and flourished to “the squeaker” of a victory, in The Road to Camelot (Simon & Schuster, $28.00). May 17 – John T. Edge arrived in Oxford as a curious and enterprising student a couple of decades ago or so, and, through eager curiosity, industrious scholarship and several books, a case may be made that he now is the preeminent authority on just about anything having to do with food in the American South. That case is now closed with The Potlikker Papers: A Food History of the American South (Penguin, $28). May 4 – You might guess that, with a title like Your Killin’ Heart (St. Martin’s, $25.99), the book might deal with country music and be set in Nashville. And you’d be right about Peggy (Peden) O’Neal’s first novel, a Minotaur mystery with a slice of humor and winner of the Malice Domestic Best First Mystery competition. May 23 – With a movie out and now on the Indie Bestseller list, A Dog’s Purpose reminds us of Bruce Cameron’s visit here when that novel first appeared. He returns to Oxford, where he has many dog-loving readers, with A Dog’s Way Home (Forge, 24.99), another great story based on dog-and-human relationships from the dog’s point of view. Note: All events are at Off Square Books beginning at 5 p.m. Visit our event page for a full listing of May's events. Raffle has ended. We'll draw the winners on Monday, May 22nd. One of the more colorful aspects of Square Books' history involves the many book signings held here when John Grisham began writing books. These went from a family-and-friends affair for A Time to Kill, to lines going out the door, down Van Buren and around the corner at 11th St. beyond Harrison, requiring John to ice down his arm every few hours or so. Eventually this changed, and we now typically receive enough signed copies to satisfy orders from his (and our) faithful readers. 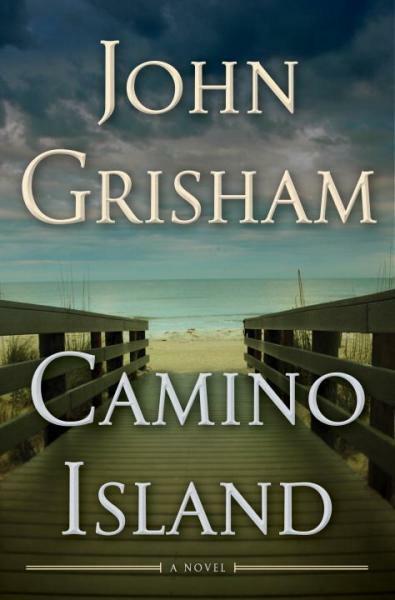 He will have a new suspense novel out this fall, but, come June 6, we will have Camino Island, and John Grisham will return to Square Books for a limited appearance on June 20. You may still order and receive signed copies of the book, regardless whether you wish to enter the raffle. Raffle ends May 19th. Winners will be notified May 22. Don't call us, we'll call you, please. Raffle winners may get one or two (but no more) copies signed at the in-person event—only copies of Camino Island purchased from Square Books, no older books or memorabilia, etc. The signing will begin at 1 p.m. June 20. Raffle winners may come to the main store beginning 9 a.m. to pick up your ticket. The tickets, valid for one person per ticket, will help us do the signing in an orderly fashion and to prevent people from having to stand in line too long. 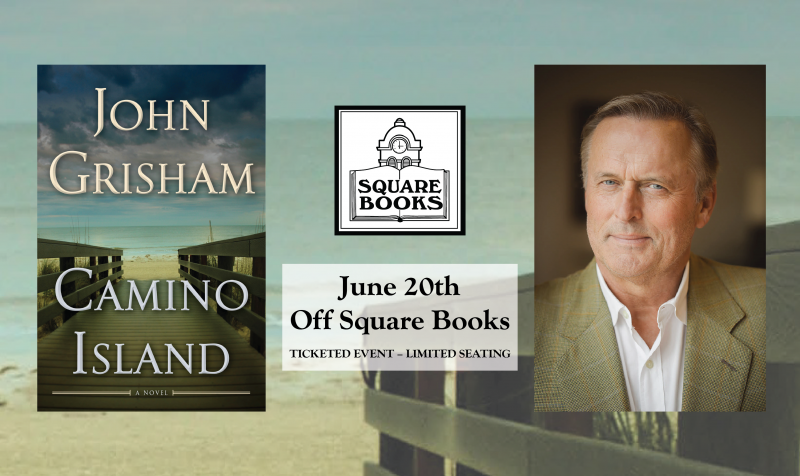 At 5 p.m. raffle winners may return to Off Square Books to attend a live interview with John Grisham. At this event there will be no book-signing, etc. CLICK HERE TO ORDER A BOOK AND ENTER THE RAFFLE. When Mary Ann Connell was born, her father told the town: If it's a boy, I'll send up black smoke; if it's a girl, I'll send up white. The entire town of Louisville, Mississippi, saw white smoke billowing from the chimney, announcing Bill Strong had a daughter. This smoke--determined by gender--would come to define Mary Ann's life in ways none of them could have excepted. As a child, fire robbed her of a precious piece of her life. Later, Mary Ann faced a different kind of firestorm as she became one of the first women lawyers practicing in Oxford, Mississippi. 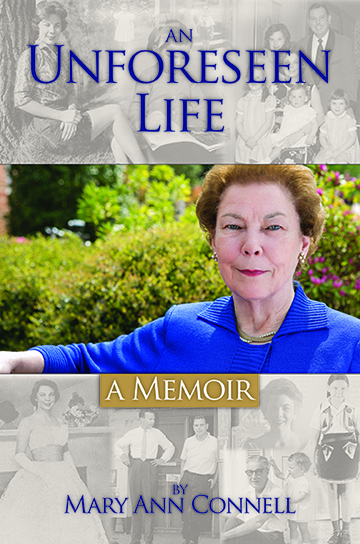 An Unforeseen Life is Mary Ann's account of the many joys and trials of her life--from attending Harvard Law School with classmate Barack Obama, to serving as the president of a national association of university attorneys; from losing her husband to cancer to defending the wrongful termination suit of beloved Ole Miss football coach Billy Brewer. 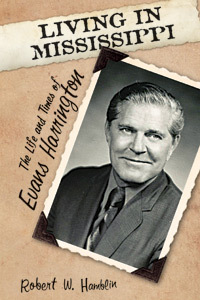 This powerful memoir is a funny, touching account of a life "most richly blessed," if sometimes in unexpected ways. The book releases on April 11th from The Nautilus Publishing Company and we'll have an event at Off Square Books at 5pm that evening. Click here to pre-order. 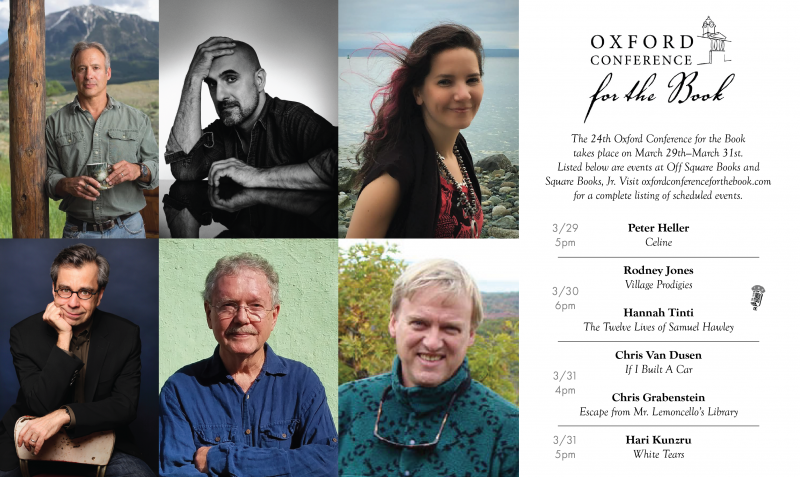 We're excited about the upcoming Oxford Conference for the Book. For a full schedule, go here. The third installment of the Penn Cage trilogy, Mississippi Blood, releases on Tuesday, March 21st. 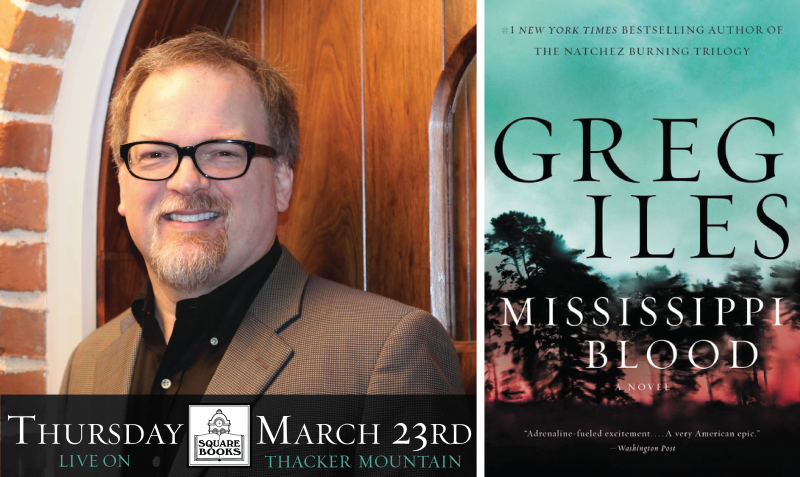 Greg Iles will make a Thacker Mountain Radio appearance on Thursday, March 23rd. 6pm at Off Square Books. We'll have signed copies for sale the next day.